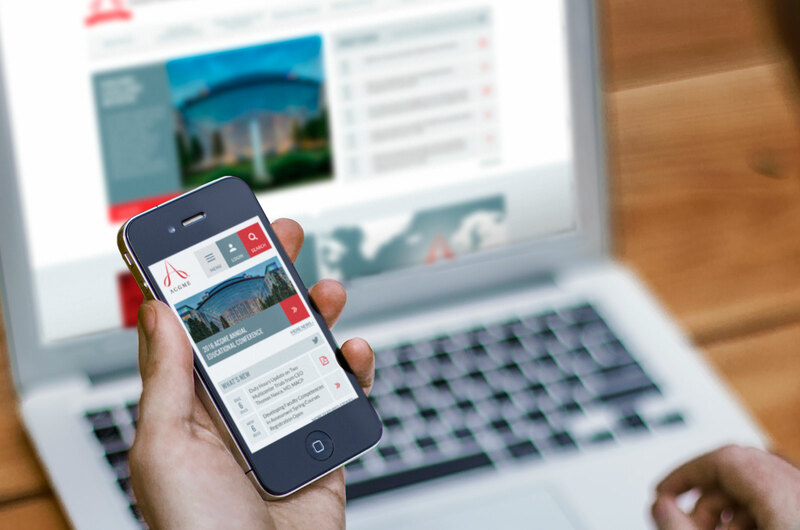 The Accreditation Council for Graduate Medical Education (ACGME) was preparing to launch its new website—a highly complex site containing more than 1,500 downloadable documents, hundreds of content pages, and critically important compliance information. 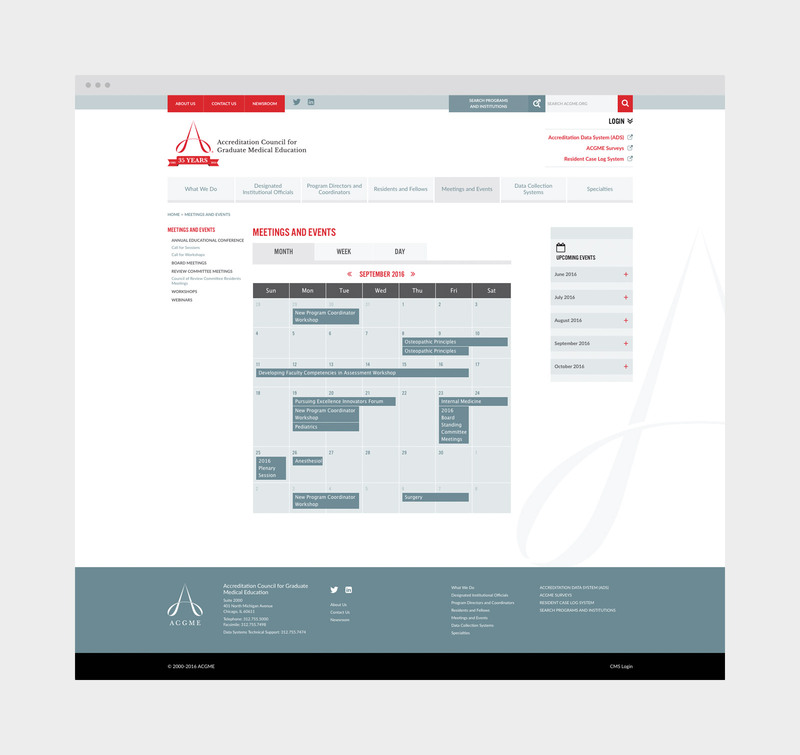 ACGME had two primary goals for the new site: to ensure users could easily navigate the site and to expand awareness of their programs and strategic direction. 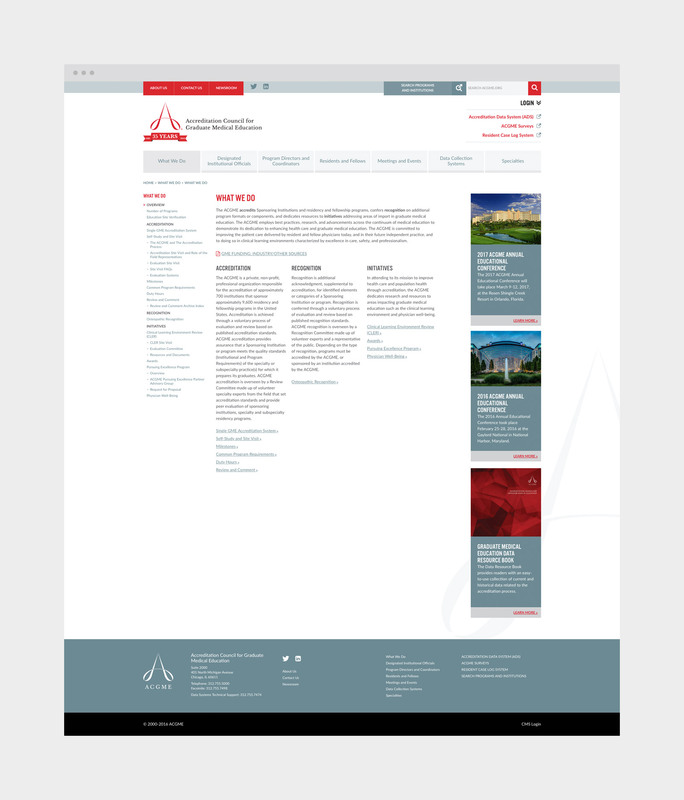 To confirm that the site met these goals, they turned to Bark for an independent, expert audit prior to going live. 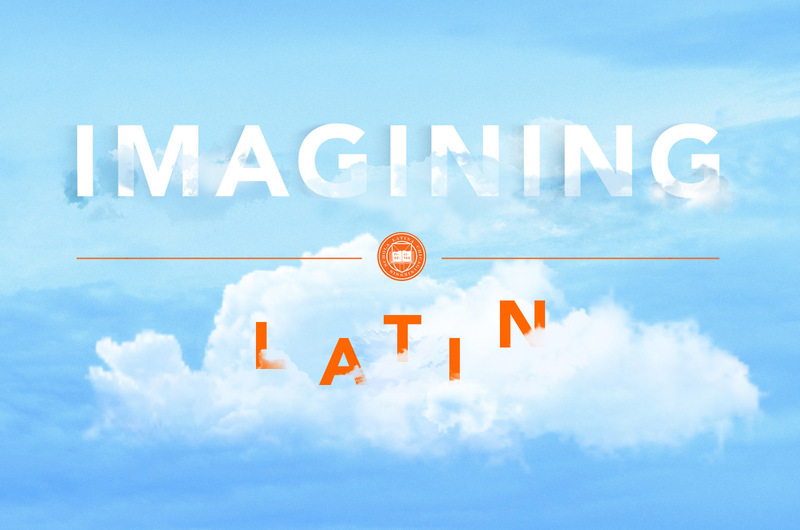 Our partnership quickly grew, and Bark has further enhanced their brand with a logo refresh and bold collateral design. 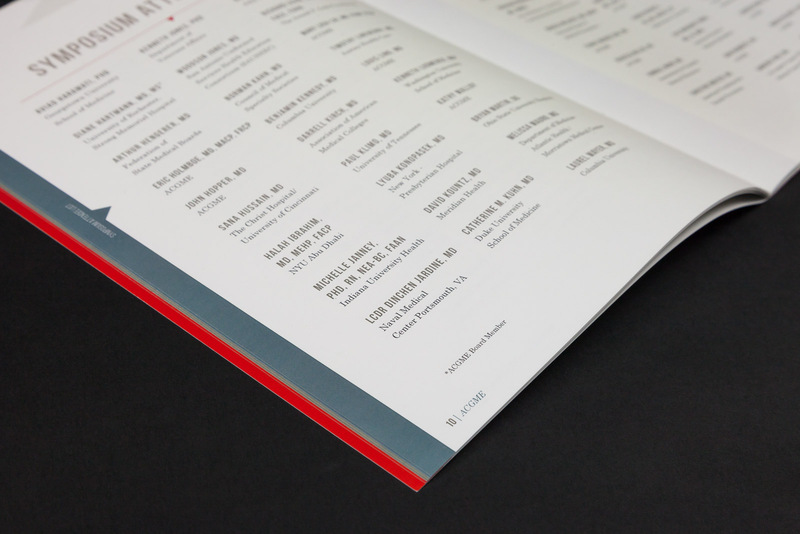 Together, our efforts have helped to strengthen ACGME’s position as the leading accreditation organization of post-MD medical training programs. 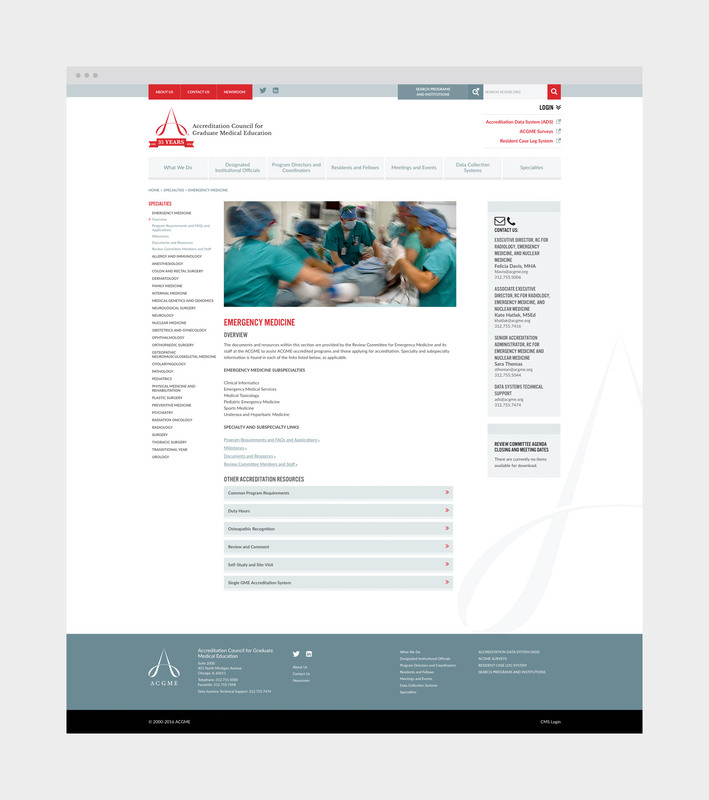 Working closely with ACGME’s communication team, we performed an audit of the proposed site, including the organization’s online brand position. To understand both current and desired behavior, Bark used several methods during the audit including user experience workshops, interviews, surveys, validation of prior research, and Google Analytics. 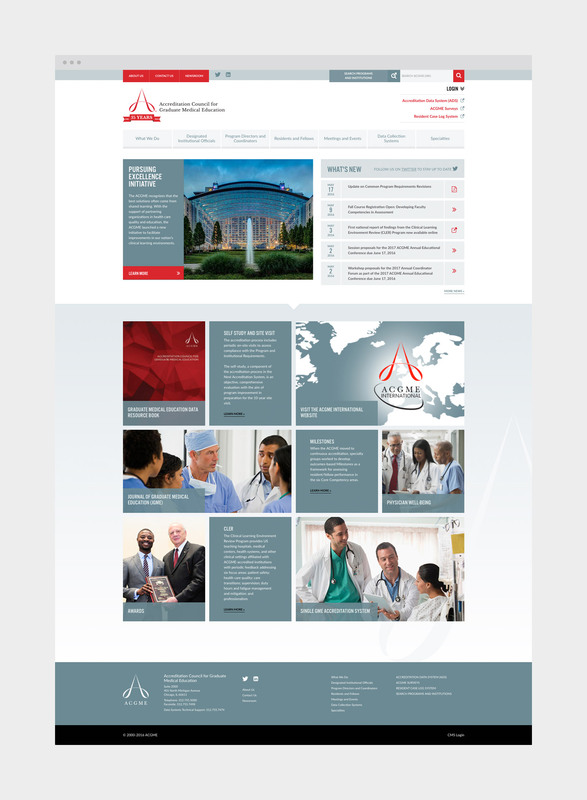 Our findings verified a redesign of the website was necessary which included site architecture, content strategy and taxonomy, user interface, and user experience—as well as the experience for its growing number of mobile users—resulting in a site that bolsters ACGME’s brand awareness and increases user retention on the site. 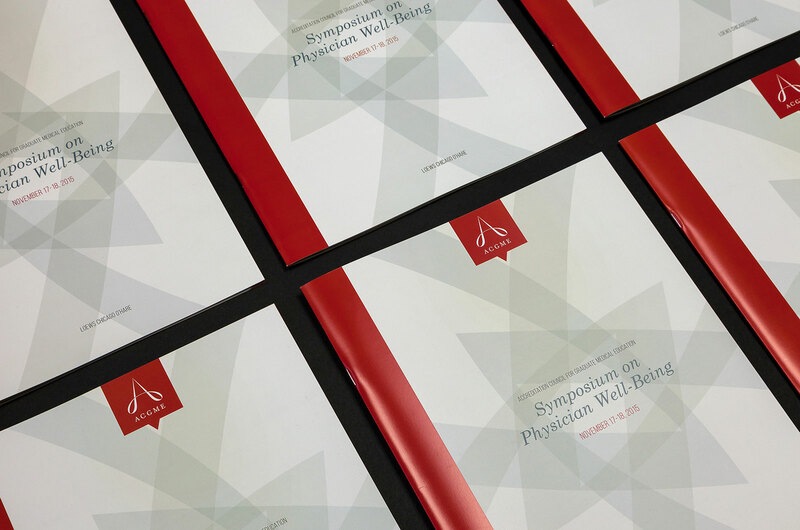 ACGME approaches physician well-being from a holistic perspective and The Symposium on Physician Well-Being positions it as the leading expert institution in this area. 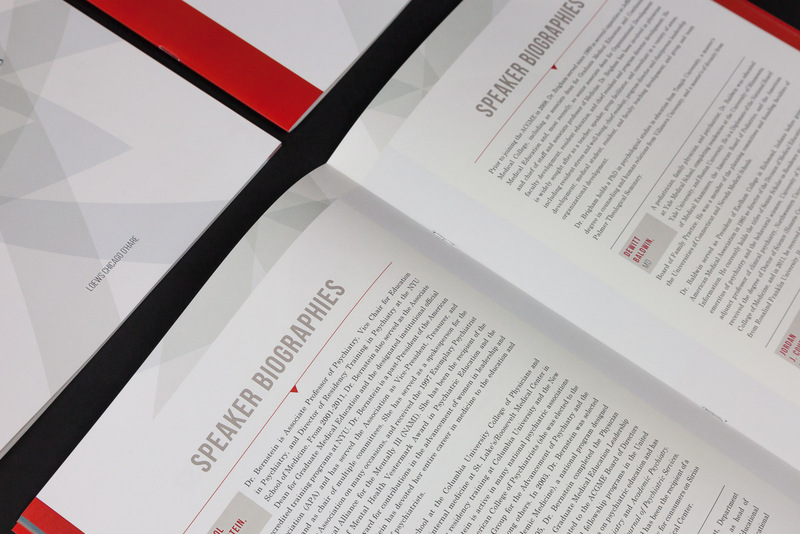 Collateral material that reinforced the organization’s brand and distinguished the initiative were developed. 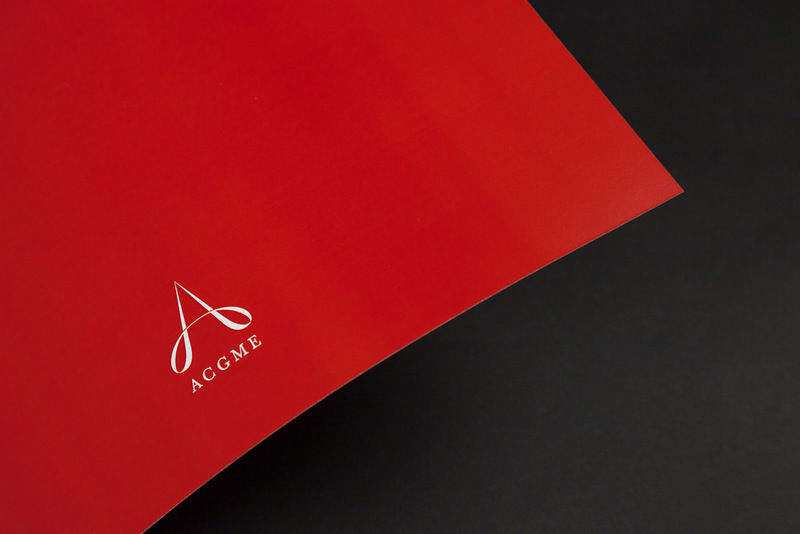 Through our work with ACGME we initiated a strategic refresh of ACGME’s logo. Bark reviewed organization-wide communications and developed standards for identity usage in how the logo is used with the acronym and with the full name of the organization. Additional lock-ups were also developed for unique use scenarios.